Nominated for: failing to provide the serious leadership Toronto needs. In recent weeks, progressives have been giving John Tory credit for his “bold” initiative to push for road tolls on the Gardiner and Don Valley Parkway. Progressives like it when any government figure makes even a token effort to address the unpaid costs that car usage costs the public, and John Tory excels at token efforts. Of course, if John Tory were serious about addressing the unpaid costs of car usage, he’d consider a congestion charge for a certain part of Toronto’s downtown instead of road tolls on major roadways, since congestion charges both prevent toll evasion and also affect all drivers, as opposed to those who mostly come into Toronto from outside the city. But—and this is important—John Tory is not serious. 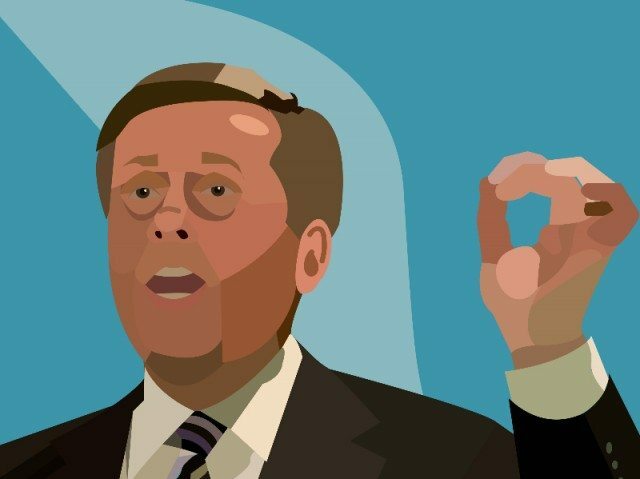 Tory wasn’t serious about road tolls—which will only kick in after he’s done running for mayor in 2018, and possibly when he’s out of office beyond 2022—just like he’s not serious about Rail Deck Park, which he really loves but will never actually have to pay for, and just like he’s not serious about reining in “waste” in municipal government while he spends billions and billions on a Scarborough subway that doesn’t address real transit needs, and an eastern Gardiner rehab that’s magnificently wasteful, or how the only thing that is serious about SmartTrack is that John Tory is deeply invested in nobody believing that it is essentially a cash giveaway to the provincial government. He wants to be seen as a serious thinker for backing road tolls, and certainly Giorgio Mammoliti’s (Ward 7, York West) idiot antics distracted everybody from the real reason Tory suddenly loves tolls, which is that they will (hopefully) mostly get paid by non-Torontonians—just like the hotel tax he’s now backing. John Tory is all about fiscal responsibility, except when it’s the City of Toronto actually paying for its own services. Tory is not serious about governing, because city staffers have shouted, over and over again: you either have to raise property taxes or cut services. John Tory doesn’t want to cut services, because he promised everybody during the 2014 elections that we didn’t have to cut services, because John Tory prides himself on talking tough until anything tough actually has to be said, at which point a stiff breeze could blow him over. And John Tory doesn’t want to raise property taxes, because then all the people for whom his mayoralty actually is for—which is to say, the upper-class central Toronto crowd that views any increase in property taxes as a personal affront—would get angry, and Tory so hates it when people are mad at him. John Tory is a mendacious, mediocre politician, an overblown and overpraised stuffed suit with little to recommend him beyond not being Rob Ford, and it is on that quality that he won the mayoralty. At the time, we hoped that he would “rise to the occasion.” We might as well have wished for a pony.